Plans are in motion to establish a petroleum refinery for Belize according to media reports monitored here today. Prime Minister Dean Barrow stated in a short press conference in Belize city today that in order to combat very high costs of imported fuel, Belize will set up its own refinery to process the 5,000 barrels daily production of sweet light it currently exports, mainly to the U.S. market. 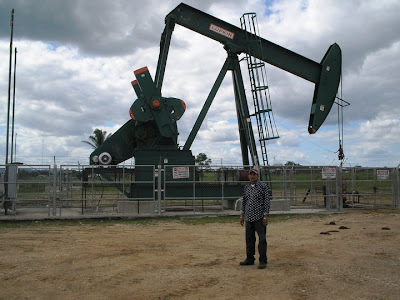 Mr. Barrow who had previously opposed the establishment of a petroleum refinery for Belize has been forced to reverse course after being unable to fulfill election promises to lower the cost of gasoline and other fuels. Fuel costs in Belize have skyrocketed since the United Democratic Party took office two years ago, due to the imposition of heavy taxes in order to support government’s deteriorating economic situation. and where does the prime minister plans to get the crude oil and money to develop refinery. The Spanish lookout field is already in decline and the GOB of Belize did not renew BNE's exploration license therefore they can no longer explore for more oil. Indeed, probably he knows a lot more than the Belizean people.